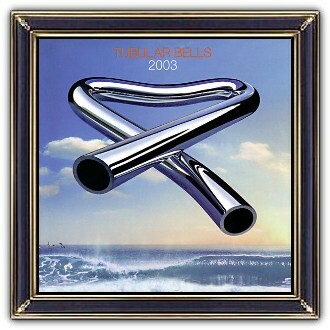 The cover of Tubular Bells was created by designer and photographer Trevor Key. He chose a beach on the Sussex coast to shoot the backdrop for the album cover. Key had brought with him the bones shown burning on the beach on the album's back cover, but the day was bitterly cold and it took some time to set light to them. The perfectionist Key also spent several hours photographing the seascape until had a shot of the waves that he was happy with. The triangular 'bent bell' on the album cover was inspired by the damage Oldfield had caused to the tubular bells while playing them for the record. Key designed the bell and had the model constructed, which he then photographed in his studio and superimposed on the beach backdrop. 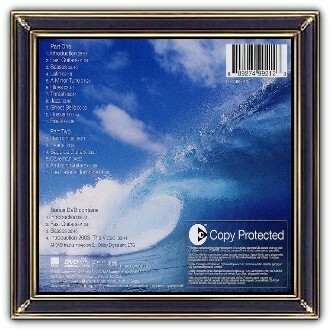 Oldfield was captivated by the finished artwork, and insisted that on the cover his name and the album title should be in small letters and in a pale orange colour (chosen by Oldfield himself) so as not to distract from the overall image. The 'bent bell' has become the image most associated with Oldfield, appearing on the cover art of all the Tubular Bells sequel albums, and is also used as the logo of his personal music company, Oldfield Music Ltd. The cover of Tubular Bells was among ten images chosen by the UK's Royal Mail for a set of 'Classic Album Cover' postage stamps issued on 7 January 2010. 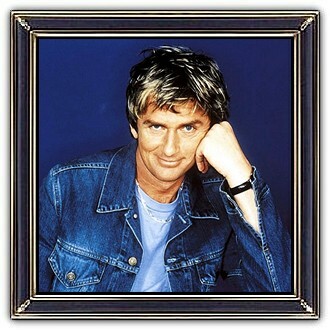 Michael Gordon "Mike" Oldfield (born 15 May 1953) is an English musician and composer. His work blends progressive rock with world, folk, classical, electronic, ambient, and new-age music. Oldfield is best known for his 1973 album Tubular Bells – which launched Virgin Records and became a hit after its opening was used as the theme for the film The Exorcist – and for his 1983 hit single Moonlight Shadow. Oldfield is also known for his rendition of the Christmas piece In Dulci Jubilo. He has released more than 20 albums with the most recent being a rock album titled Man on the Rocks, released in 2014.